An associate professor of sociology and law at the University of Illinois at Urbana-Champaign has received a prestigious award for her research on the hurdles low-income communities face when seeking civil justice. 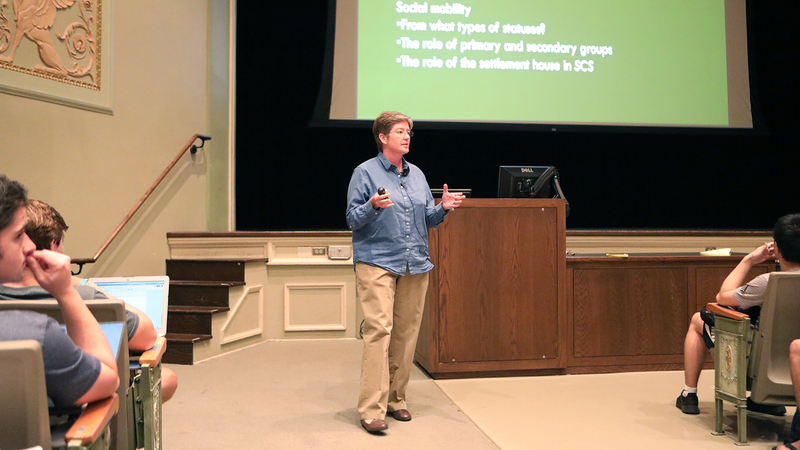 Sociologist Rebecca Sandefur, who’s also an American Bar Foundation faculty fellow, studies how people understand and handle civil justice problems, such as evictions, wage theft and disputes with insurance companies, as well as the legal services and resources to assist with these problems. She’s among 25 MacArthur fellows named publicly by the foundation on Oct. 4. Sandefur said most people who face civil justice problems solve them on their own and, in many cases, don’t interpret them as legal matters. Since 1981, the MacArthur Fellows Program has selected individuals who display “exceptional creativity” and the potential to advance recipients’ respective fields or industries. Nicknamed the “genius grant,” fellows receive a “no-strings-attached” $625,000 award over the course of five years. Sandefur hopes that money can be used for future initiatives to help people as well as raise public awareness about civil justice problems and solutions.